I'm am so excited to share with you book 2 of The Sidhe series by Cindy Cipriano! I read book one last year ( The Circle) and it was a great story. Book 2 - The Choice is equally awesome. In this book our favorite characters Callum, Laurel and Hagen are back. They are still searching for Finlay and learning about their other world - the Fairy World. For Calum Ranson, seventh grade brings changes in his relationships with his parents and his friends, and a confrontation with his bully. Calum's talents have also developed to a level unheard of in the Sidhe world. When Calum goes against everything he knows is right, he makes a choice that may cost him his friendship with Laurel. An old friend steps in, but her mysterious ways leave Calum questioning her motives. 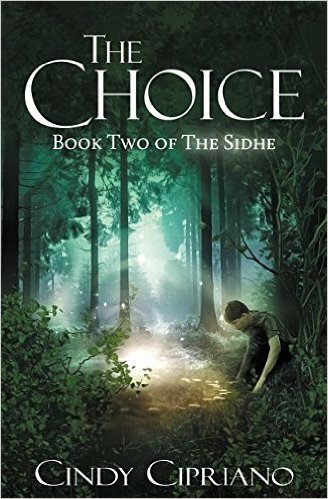 In the second book of the Sidhe Series, Calum, Laurel, and Hagen reunite in their search for Finley. And while many things have changed, Calum remains steadfast in his belief that Finley is still alive and Calum will bring him home. I know many of you are looking for good books for your tweens/teens and I want to tell you this is a fantastic fantasy series. Cipriano has created a fantasy world that makes you want to visit and learn more. She blends the fantasy with a little bit of mystery which keeps the story flowing. 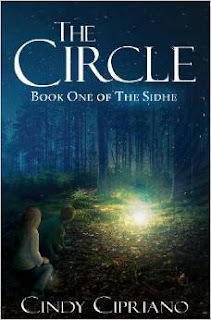 I highly recommend you start with the first book - The Circle and then follow up with The Choice. I honestly can't wait for the next book to come out! You can purchase your copy of The Circle and The Choice on Amazon.